Traditions are abound at the home of the Denver Broncos. 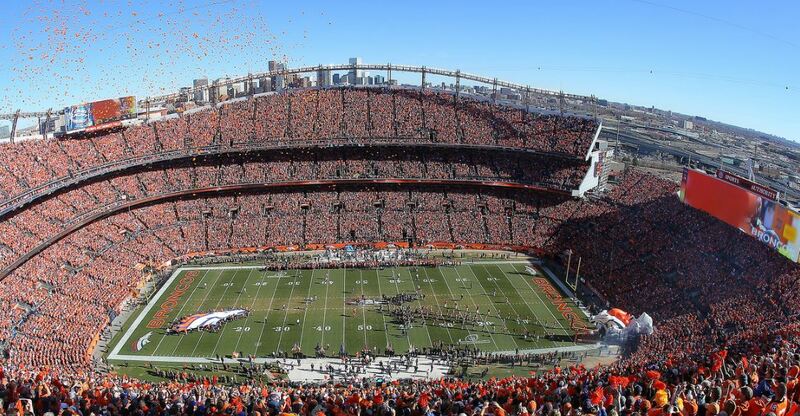 Here you will hear fans chant “IN-COM-PLETE!” when the opposing team throws an incomplete pass or a loud noise that sounds like thunder, “Mile High Thunder,” the stomping of fans feet on stadium’s floor, traditions carried from the Bronco’s old stadium, Mile High Stadium. The Denver Broncos are charter members of the American Football League and began playing in 1960 at what was then known as Bears Stadium. Bears Stadium was expanded and became known as Mile High Stadium, home of the Broncos for four decades. Mile High Stadium was loved by fans and many great Bronco teams played there. However, in the late 1990s, owner of the Broncos, Pat Bowlen, wanted a new stadium that featured the same modern amenities found at new stadiums in the NFL. Public financing for a new facility was controversial, but in November 1998 voters approved a plan to construct a new stadium. Built adjacent to Mile High Stadium, fans attending games during its final season in 2000 could see the new stadium under construction. 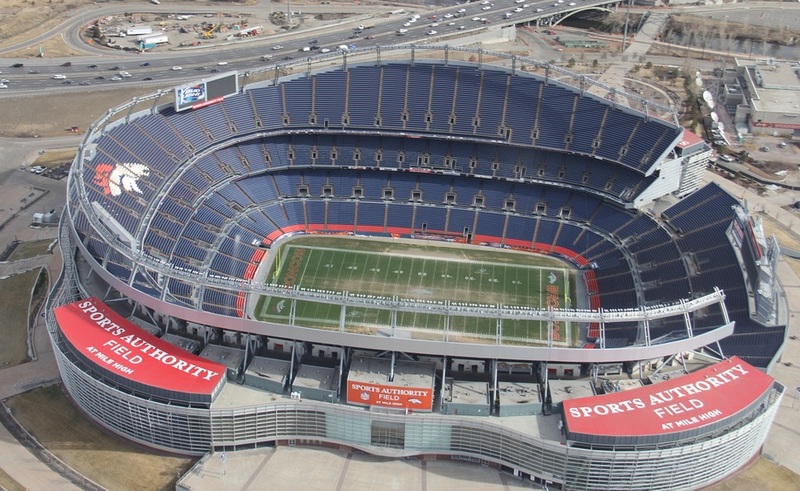 Originally named Invesco Field after Invesco Funds purchased the naming rights, the stadium was renamed Sports Authority Field in 2011 and received it’s current name, Broncos Stadium at Mile High in June 2018. Retired Numbers: 7-John Elway, 18-Frank Tripucka, 44-Floyd Little.